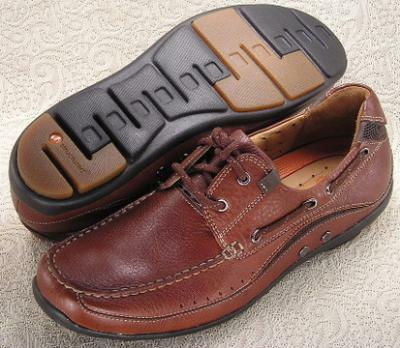 The 'Un.click' boat shoe from Clarks® Unstructured is a modern update on a classic style. Premium, full-grain leather or nubuck upper offers immediate wear with no break-in required. Lightweight "Ultra Flex" EVA outsole sole reduces lift load and foot fatigue for all-day wear. Rubber outsole absorbs shock and adds traction without weight.